Joshua Brody is the kind of director who bakes cookies for his actors. And he knows that makes him a bearded, tattooed version of his mother. 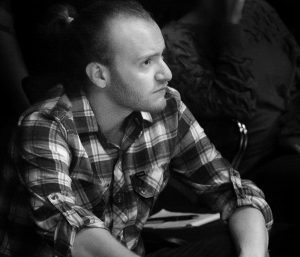 Brody is directing Tiny Houses, the first New Play Workshop show of the 2016 Chautauqua Theater Company season. The final staged reading of the show is 2:15 p.m Saturday. “I believe really, really firmly that no one should leave the rehearsal room worse than they came into it that day,” Brody said. Brody started in the entertainment industry as a child and teen actor, appearing in cameo roles in films such as Chasing Liberty and Agent Cody Banks 2. He once voiced one of the Cabbage Patch Kids. He was born in New Jersey, grew up in London and attended Yale University in Connecticut. That movement helped connect him with the theme of the show. “Since I grew up living in so many different places, I really love this idea: [The main character says] that ‘I’m starting to think that homes aren’t places, they’re people,’ ” he said. Tiny Houses explores a couple’s move from New York to Oregon and the themes of home that arise as they build a tiny house together. This year, Brody is an artist-in-residence at the La Jolla Playhouse in La Jolla, California. But between directing shows at the Goodman Theatre in Chicago and the University of Missouri-Kansas City, he’s only been at La Jolla for about half the year. His most recent show, The Last Tiger in Haiti, opened on July 8 in La Jolla. It centers around restavek children, or Haitian indentured child servants. 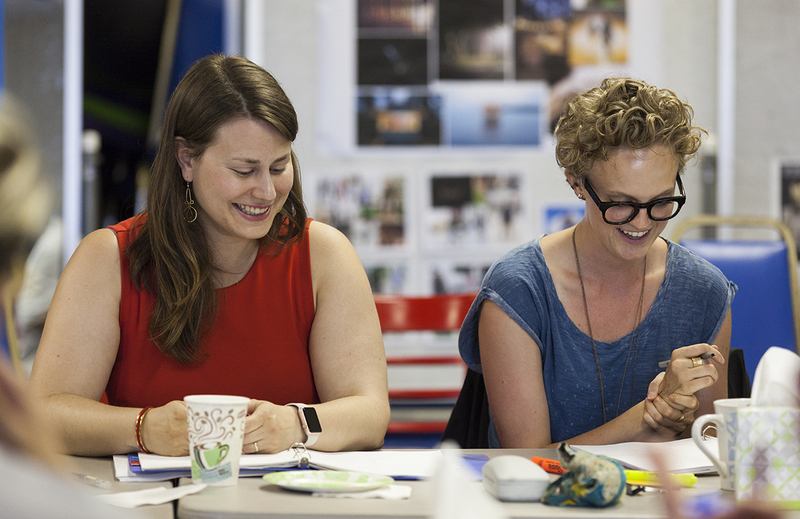 Rehearsals for Tiny Houses started Monday and the show opened Thursday. Unsurprisingly, Brody said, time is the main challenge with Tiny Houses. But he also thinks there’s something good about that. “The flip side, actually, is that we get to just make this thing without thinking too hard about it or giving ourselves time to muck it up,” he said. Brody met Tiny Houses playwright Chelsea Marcantel last year through their mutual agent. “Chelsea’s writing is so beautiful and so clear,” he said. Brody said most workshop performances of plays are free and simply feature actors standing at music stands. During some of his downtime from directing, he works in a tattoo parlor in San Diego. In fact, after he leaves Chautauqua, he’s headed back there for a shift. At the end of the day, Brody doesn’t see himself as a negative or angry person, and he tries to make his sets a place where everyone can feel at home. “As a director, I think the thing I do best is that I make spaces in which other people can be their best selves,” he said.